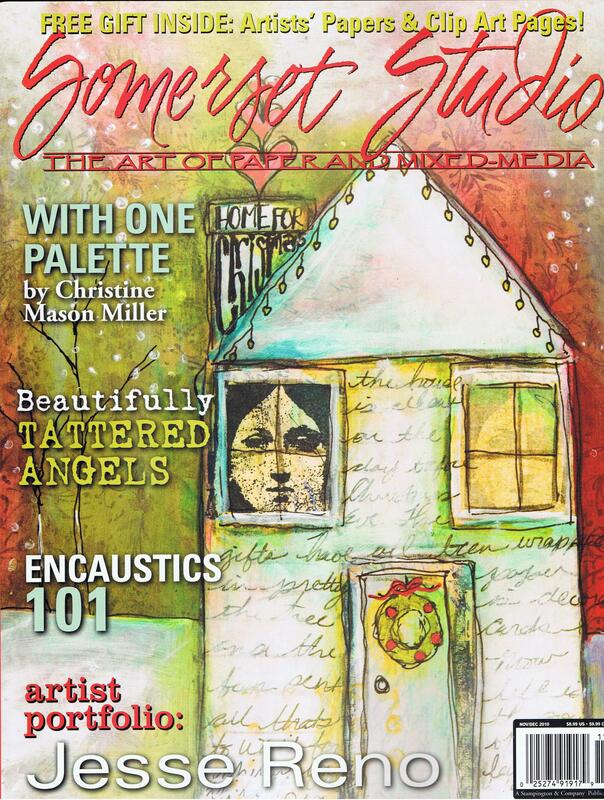 I’m so completely honored to have my work grace the cover of the latest issue of Somerset Studios! While this would be an honor at any time, it is especially meaningful for me with the holidays approaching this year. I was asked to write an essay for ‘The Last Page’ in this issue with the theme ‘Heart and Home’ to go with the piece of art I had done for ‘With One Stamp’. I knew immediately what I would write about. My family will be largely scattered this Christmas, with my oldest overseas, and the rest of my immediate family not being able to travel back ‘home’ to WA to see my extended family. I found comfort in writing this piece and I hope it will touch you as well. I think most of us can relate to ‘Heart and Home’ during the holidays. 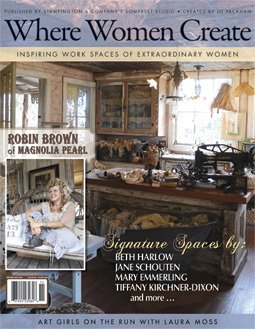 Also newly out is the latest edition of Where Women Create. 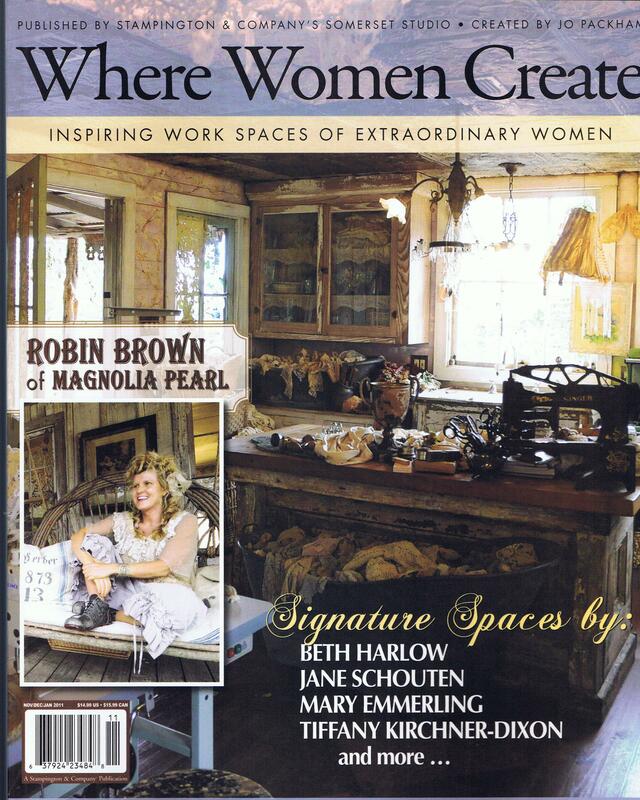 In this issue I was invited to write for the ‘She Remembers’ feature. Reflecting on my journey over the past few years made me appreciate it that much more and helped me to realize even more fully the that it is possible to achieve your dreams and goals by working hard and not giving up. As the holidays approach it’s a good time to reflect on the past year and to think about your goals for the next year. It’s never too early to set some for yourself and get a jump-start on those New Years Resolutions! congratulations on all your press! your artwork is wonderfully honest & beautiful. Wonderful! Congrats on your well-deserved success! I’ve been following you for a while, but haven’t had the nerve to comment. You are such an inspiration to me, and an example of what can be accomplished with hard word and persistence (and lots of talent, of course!). Pam, you are such an inspiration to so many. Congrats on being cover girl and also for being able to share about memories and family. I totally adore the bottom image. WOW! I think I am going to do some art – right now. I’ve already chosen a resolution of “create every day”. Angels be with you as you approach the holiday season. May your holidays be filled with much love, many haapy memories and new magic to behold. Lovely post Pam. 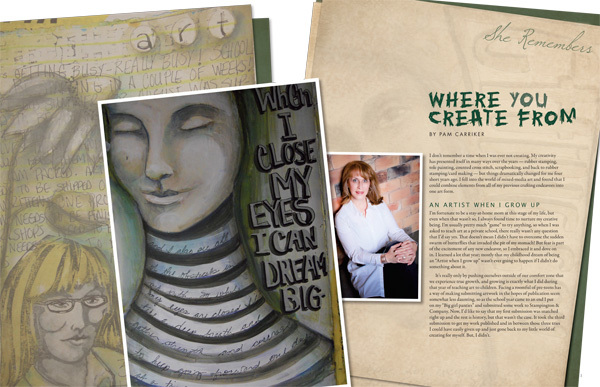 I did see your beautiful art not only on the cover of the new issue of Somerset Studio but your article on the last page was very moving and heartfelt. It was super to see “you” on the cover. I knew it was yours instantly. Also; got the newest issue of the Workbook and am basking in all of your projects in that issue, as well. Kudos to you and so happy for your well-deserved success! I love Magnolia Pearl also. Do you go to the Texas Antique Week and have a site there? 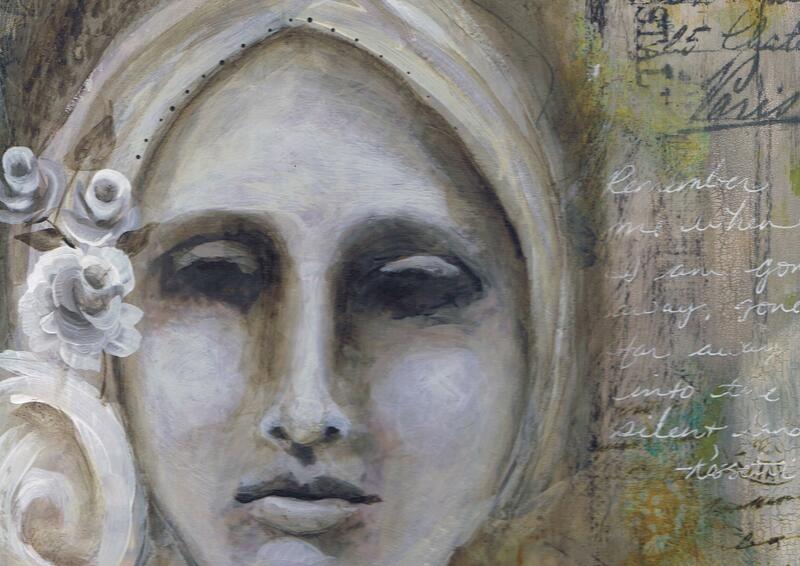 You inspire me to get busy with my mixed media art! Congratulations on all your success and book to come out soon. PS: I posted earlier but did not realize to write in your beautiful daisy background.